The Great Debate: In-House or Outsourced Fraud Management? Should Merchants Manage Fraud In-House or Outsource to a Professional? When the risk of fraud escalates, the default response for most merchants is to attempt management practices in-house. In many situations, in-house fraud management is capable of addressing the low-hanging fruit, or the easy-to-manage issues. However, as businesses scale, the need to outsource becomes increasingly obvious. Threats evolve and risk often becomes an unmanageable liability. There are obvious pros and cons of each management style. Proponents and opponents of any given management technique have the same arguments over and over. In-house teams come to recognize fraud and chargeback patterns and can adjust preemptively. For example, fraud associated with Black Friday is predictable; in-house teams can anticipate their staffing needs and adjust accordingly. However, when fraud spikes unexpectedly, most in-house teams aren’t properly equipped to deal with the increased risk exposure. They are far less agile than a professional with limitless resources. In-house teams definitely have the edge when it comes to business operations and product knowledge. No one knows the business better than its own employees. However, this insider intelligence must be considered against a fraud expert’s unique understanding of the industry and emerging threats. An in-house team understands the risks associated with that business, but a professional understands the evolving threats associated with countless businesses in diverse industries. Obtaining efficiency and optimum profitability in-house is expensive. If tools can improve the effectiveness of a given strategy even a little, the impact will be a significant improvement to the bottom line. This includes improved merchant-issuer relationships, improved customer satisfaction, fewer manual reviews, and decreased false positives. Perhaps the age-old debate of in-house vs. outsourced solutions can finally be put to rest. As modern fraud prevention becomes increasingly complex, merchants might not be limited to a ‘one-or-the-other’ decision. Rather than build or buy, the question merchants should ask is…who will handle what? What products or services will complement the in-house skillset? Few merchants can handle all fraud and chargeback management tasks exclusively in-house. As the business grows, risk mitigation efforts need to expand as well. Effective fraud prevention and chargeback management is about finding solutions that complement one another. No single strategy will be the definitive risk mitigation solution. Rather, merchants need a multi-layer approach, one that incorporates complimentary products and tactics to create a comprehensive barrier against fraud and chargebacks. If price is based on transaction volume, merchants need to carefully analyze future growth potential and budget accordingly. Outsourcing responsibility doesn’t mean a merchant loses control or even that prior intelligence and data acquisition will go to waste. Rather, this previously-acquired information can make products and services more efficient. Sometimes products and services provide just temporary assistance. For example, Jen Fogarty, trust and site security manager at CareerBuilder, suggests, “Find a vendor who can help with overflow.” On-demand assistance can help when in-house resources are limited. Merchants should check client testimonials and ask to speak with current customers. Can the vendor support future technology and fraud developments? How adaptable and agile is the company? Cookie-cutter solutions are not ideal. No two businesses have the same risk, so a one-size-fits-all, automated solution is ineffective. When choosing a service provider, merchants often gravitate towards vendors with banking experience. It seems logical that these individuals and organizations will have the best understanding of what’s at stake. However, real-world eCommerce experience proves exponential value. As Greg Coles, director of eCommerce operations at The Source, said, “It pains a sales person to cancel a good order or lose a customer.” Someone with prior experience as a merchant will help minimize risk without compromising growth. 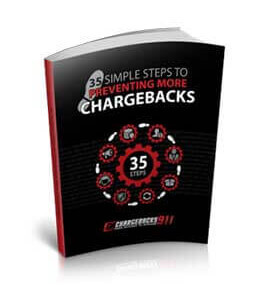 Chargebacks911® is an integral part of any multi-layer fraud management system. Our efforts increase revenue retention, make fraud detection and chargeback mitigation tasks more efficient, and allow merchants to reallocate resources to revenue-generating departments. By providing both customized service levels and pricing plans, Chargebacks911 can easily be integrated into any in-house management strategy or stand-alone as an end-to-end, outsourced option. Chargebacks911 complements a merchant’s current fraud detection and prevention efforts, not replaces them. Contact us today to learn more about our solutions and how Chargebacks911 can help optimize the efficiency of your current mitigation efforts.